When Gordon Ramsay launched his latest restaurant Heddon Street Kitchen on Saturday, it was almost fully booked, with diners having reserved 140 seats. Yet only 40 of these potential customers actually turned up to the restaurant, which is set just off Regent Street. Ramsay puts the no-shows down to “sabotage” and “envy”, blaming a rival for making fake bookings. He hasn’t suggested any names, but the Standard has placed his former mentor Marco Pierre White on the suspect list along with Jason Atherton and Marcus Wareing, who both used to work for Ramsay. Other sources claim it was all a publicity stunt, though we’re not sure it’s the best possible one. When newly refurbished Broadgate Circle re-opens in Spring next year, it will bring a slew of new restaurants to the City. The headline act will be a second branch of Soho’s high-end dim sum restaurant Yauatcha, while Comptoir Libanais, Aubaine, ramen bar Shoryu and a second branch of Sloane Square bar and restaurant The Botanist will also feature. Broadgate Circle will get a further boost when Crossrail arrives on its doorstep in 2018. As part of its autumnal decoration, Soho’s Quo Vadis has been decked out with pumpkins and squashes for the past couple of months, including a particularly impressive 67 kilo centrepiece. Rather than see them go to waste, executive chef Jeremy Lee and owners Sam & Eddie Hart have decided to cook up soup and give it out for free. You’ve missed it for today, but can pop by the restaurant’s terrace on Dean Street to pick up a free cup tomorrow (21 November) lunchtime. Founded by poet Lemn Sissay, the Hackney Christmas Dinner is a project aiming to provide a free Christmas Day dinner in Hackney for 70 care leavers between the ages of 18 and 25. As the team behind it explain on their Crowdfunder page: “Many care leavers are sat in flats, B&Bs, hostels, or are sofa surfing, away from family and living on the streets on their own at Christmas. Christmas can be a reminder of everything that they never had. It's often a dreaded day. We want to change that.” The project needs to raise £5,000 by 10 December to be viable, with incentives including thank you cards, football tickets and cookery classes up. See the Crowdfunder page to support the cause or find out more. You may have heard of a Michelin-starred Indian restaurant called Zaika, which was once one of London's best. The Kensington site was bought by the team behind Mayfair’s Tamarind last year and they promptly closed the flagging restaurant in December. 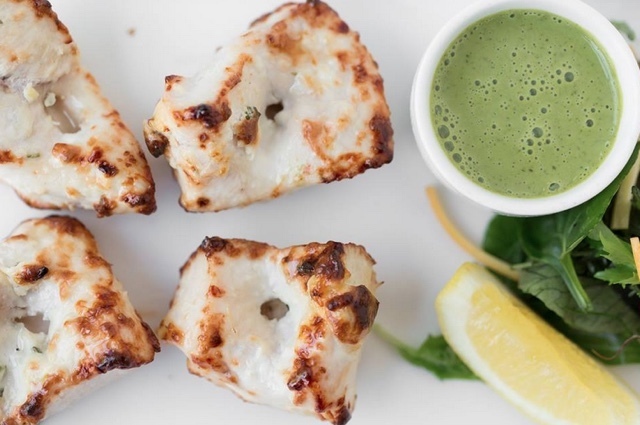 It was relaunched in March as One Kensington serving European dishes rather than Indian, but closed just six months later following a bad reception. This Saturday sees the restaurant re-open as Zaika again, serving northern Indian cuisine. We'll have to wait and see how it does. Gastropub turned bistro The Manor has opened on soft-launch in Clapham this week, brought about by the team from nearby The Dairy. It will serve its own-made charcuterie alongside produce grown on The Dairy’s roof. Dishes include aged hanger steak with scorched bone marrow and roasted onion tea, and fermented potato flatbread with smoked aubergine and mint. Also new is creative Chinese restaurant Fan Tong in Dalston. Tomorrow marks the opening of M Grill, a new steak restaurant in the City, as well as a second branch of Persian restaurant Kateh — which was included in our pick of London’s best Middle Eastern restaurants this week — in Knightsbridge. Further ahead on the restaurant horizon, the team behind Soho tapas spot Copita opens Copita Del Mercado in Spitalfields in early December; a Chinese restaurant named Chai Wu launches on the fifth floor of Harrod’s in January; and the people who brought Claude’s Kitchen to Parson’s Green opens The Tommy Tucker, a gastropub in Fulham early in the new year.